You take your laptop with you everywhere. So you might as well carry it in style, right? 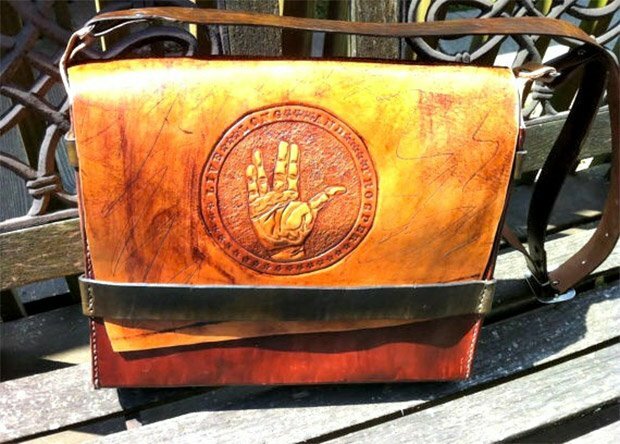 We can think of no better way for a Trekkie to carry their laptop but in this custom-made leather bag with the Vulcan salute embossed into it. 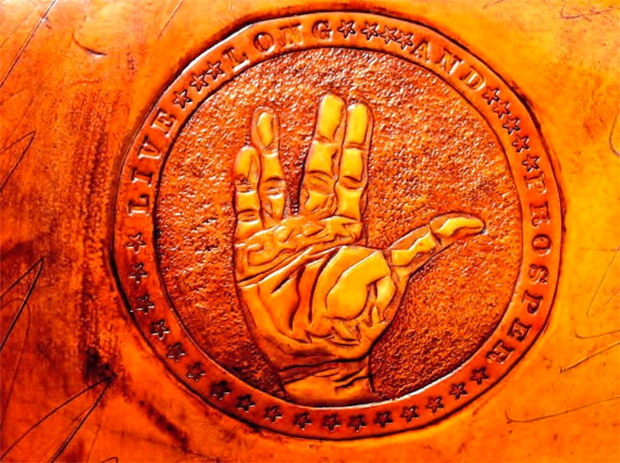 The bag is handcrafted by Ellen Sanders of World of Leathercraft using sturdy vegetable tanned leather, with “Live Long and Prosper” and Spock’s hand making that gesture that only a truly dexterous geek can pull off. 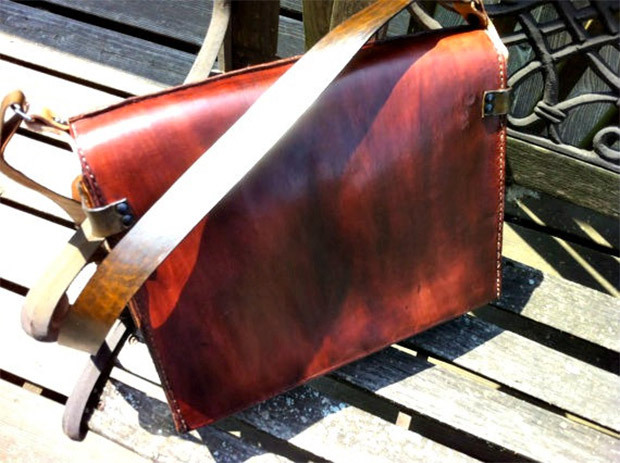 It can hold a laptop or other items measuring up to 15″ x 11″ x 3″, so there should be plenty of room in there for your MacBook and your tricorder too.